Digital gift cards will be delivered within 24 hours of purchase. 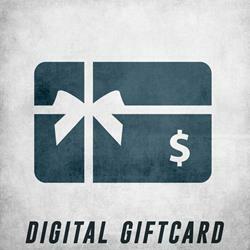 *By adding item to cart you agree with the digital gift card terms. This card is redeemable by the bearer for merchandise or services at select Merchnow.com stores. It may not be returned, redeemed for cash or applied as a payment to a membership account. Please treat this digital card like cash. This digital card is not replaceable if lost, stolen or if used without authorization. If this card is not used for a period of 18 months, a service fee of $2 per month will be deducted from the remaining balance until deleted. Send this gift card directly to recipient. Print this gift card myself.